There is not much information available on Steve Thorne. Apparently he has been quietly writing songs and performing for years in the UK as a solo artist and a founding member of Colony Earth and The Salamander Project, and touring with Jadis in the UK and across Europe. 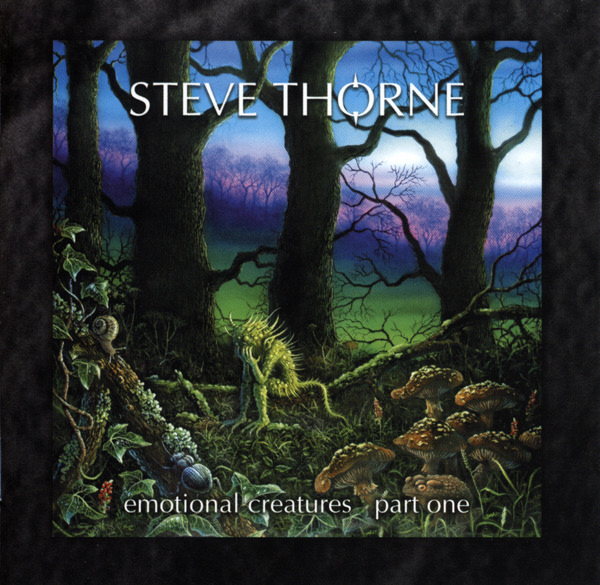 Emotional Creatures – Part One is his debut release where he is joined by none other than Tony Levin, Nick D’Virgilio, Geoff Downes, and various members of IQ and Jadis. The eleven songs on this CD are well written, composed, and catchy. I even find myself wanting to sing along on some of them. Personal favorites are “Well Outta That” and “Therapy.” Steve’s voice has that slightly raspy quality of Peter Gabriel and Phil Collins, which along with the excellent music evokes immediate Genesis references. The only issue I have with this release is the subject matter of “God Bless America.” The message is thank God America is on our side because otherwise we would be in big trouble. I am fed up with this type of anti-American sentiment that is so prevalent in the world today. This is quite unfortunate as the song is catchy and well recorded. However, as Emotional Creatures is not a political album, this song really has no place on it. Overall, this is quite an excellent album. And the good news is the sequel, Emotional Creatures – Part Two, is done and due for release in Feb/Mar 2007.